The past few years haven't been great for the luxury watch market. Economic downturns, currency devaluations, and the development of the smartwatch - once poised to be the next major tech sector following the smartphone and tablet - helped usher in two years of declines in sales and profits for the Swiss watch industry. The common narrative was that the watch industry was being killed by smartwatches and was ultimately doomed. But much like the introduction of quartz watches in the '70s, which nearly decimated the luxury watch market, Switzerland rebounded and is now growing once again. It was kind of cute to see 20-something Apple bloggers predict the end of mechanical watches because of Apple's wrist calculator. Not that other companies wouldn't have done the same thing - they would have. It's just that Apple was the successful one. It's resolutely the fault of us as consumers, and it's actively encouraged by the App Store. However, the Z4 will also run Tizen 3.0, and as the developer's notes for the latest version of the OS show, the software is getting some pretty interesting new features. It now supports Khronos’ new graphics API Vulkan, which should provide a boost to mobile gaming; and the open-source web runtime Crosswalk, which should make for a smoother internet-browsing experience. Version 3.0 also adds support for 64-bit Intel and ARM CPUs; multiple users on a single device (take that iOS); and voice control via S Voice. Of course, not all of these features will be available on the Z4, but the handset will be the first to feel at least some of these benefits (Vulkan being the big one). I want one of these Z phones, but they are pretty much impossible to come by. With the war propaganda machine in full swing, it's easy to forget that while the North-Korean regime is obviously deeply abhorrent, North-Koreans are just people like you and I, who just want to live a normal life. And yes, they also want cool gadgets. The DPT-RP1 offers a similar 13.3-inch display as its predecessor, but dramatically improves the resolution from 1200 x 1600 dots to 1650 x 2200 dots. The screen is a "non-slip" panel, which the company says will improve the experience of annotating documents with the included digital pen. The new design is also thinner, lighter, and faster than the previous version; Sony notes that the entire device is roughly as thick as a stack of 30 pages of paper. I love e-paper and e-ink displays, but other than serving their purpose on e-reader devices, it seems the technology hasn't progressed towards more generic use cases such as smartphones and tablets. Samsung officially unveiled its Galaxy S8 today. Since the device was leaked extensively, there's very little in the way of news here, but there are still a few things I thought were interesting. Most notably: DeX, a dock which turns your Galaxy S8 into a desktop computer. An old idea, of course, but still a holy grail companies are trying to obtain. The DeX dock looks kind of clever, and my absolute favourite part of it is that it has a fan to keep the phone cool while it's in desktop mode. Any application with proper Nougat support works just fine with windowing, but developers can also optimise for Samsung's own windowing features - which no developer will, of course, so you can forget that right away. Curiously, the S8 comes with a new personal assistant built by Samsung with its own dedicated hardware button on the side of the device. It sports a 3.6mm headphone jack, and comes with a 99 USD wired Harman AKG headphones in the box, which is a nice touch. The S8 will start at 750 USD or 799 EUR, and will be available this April. March has been a particularly fecund time for new Android Wear watch announcements, though unlike previous years, the brands behind these devices are almost all from the fashion and luxury spheres of business. Tag Heuer, Montblanc, Hugo Boss, Tommy Hilfiger, Diesel, Emporio Armani, Michael Kors, and Movado are just some of the well known names announcing Wear 2.0 smartwatches. This wave of new products is symptomatic of a broader trend in the tech industry: one where a high degree of component and software integration has made it almost trivial to launch a new tech product, whether or not you're actually a tech company. Maybe this is the right strategy for Android Wear. I've definitely seen some nice Wear 2.0 devices for later this year, and we wouldn't have this much variety if Google had kept Wear 2.0 close to its chest, much like what Apple does with the Apple Watch. If you don't like a square watch - and which sane person does? - you're out of luck on Apple's side of things. That being said, none of these have actually come out yet, so I'm not holding my breath on any of them being any good. All I want is an understated, simple smartwatch that doesn't have all this useless garbage like NFC, Wi-Fi, or LTE sucking up battery. I have my eyes on the LG Watch Style for exactly that reason, but they don't sell it in The Netherlands. Swatch Group AG said it's developing an alternative to the iOS and Android operating systems for smartwatches as Switzerland's largest maker of timepieces vies with Silicon Valley for control of consumers' wrists. The company's Tissot brand will introduce a model around the end of 2018 that uses the Swiss-made system, which will also be able to connect small objects and wearables, Swatch Chief Executive Officer Nick Hayek said in an interview Thursday. The technology will need less battery power and it will protect data better, he said later at a press conference. It makes sense. Unlike as on smartphones or PCs, I don't think people really want applications on smartwatches. Notifications and fitness - that's what seems to define the (admittedly, limited) appeal of smartwatches. There's no reason why a traditional watchmaker wouldn't be able to provide such limited functionality in a robust way, possibly providing anything from watches that are all-screen to mechanical watches with more limited 'smart' additions. With Wear 2.0 effectively being fake news at this point, where else is Swatch going to turn to? Nokia unveiled its new lineup of phones, and there's definitely some good stuff in here. The Nokia 3, 5, and 6 are very understated Android phones with modest specifications, but with one huge selling point: stock Android, with Google security updates. Nokia is really touting it as a feature, too, which is music to my ears. The phones are not extravagant, don't come loaded with crapware or useless features, and do exactly what it says on the tin. Nokia has sold 126 million of its original 3310 phone since it was first introduced back in September, 2000. It was a time before the iPhone, and Nokia ruled with popular handsets that let you play simple games like Snake. Now the 3310 is making a nostalgic return in the form of a more modern variant, thanks to Nokia-branded phone maker HMD. Like its predecessor, it will still be called the Nokia 3310, but this time it’s running Nokia’s Series 30+ software, with a 2.4-inch QVGA display, a 2-megapixel camera, and even a microSD slot. I'm a little underwhelmed by this phone - not because of its specifications or anything, because those are exactly as I expected and wanted from this phone. No, I miss one crucial thing: it doesn't have WhatsApp (or WeChat, for that matter, for our Chinese friends), and you obviously can't install it either. WhatsApp is the backbone - for better or worse, I didn't choose this to be so, don't blame me, etc. etc. - of mobile communications in The Netherlands and much of the rest of the world, and without it, I literally have no use for this phone, not even as a backup phone. Very strange omission indeed, but other than that - it looks great. But perhaps the most interesting of these devices, at least from the perspective of mobile enthusiasts, is not a smartphone at all, but a modern version of a classic workhorse of a feature phone, the Nokia 3310. Known primarily for its plentiful battery life and nearly indestructible build, the 3310 was released at the turn of the millennium as a replacement to the also-popular 3210. At just â‚¬59, this new incarnation seems priced competitively enough to win over nostalgic former owners for use as a second phone. This is amazing. The 3310 is one of the most iconic pieces of technology ever created. This update, 2.1.0 alias Iijoki brings major architectural changes to Sailfish OS by introducing Qt 5.6 UI framework, Bluez5 Bluetooth protocol (ready to be deployed for development purposes), basics for the 64-bit architecture and text selection in browser. Included is also a beta level implementation for Virtual Private Networks (VPN) (please read release notes) and the first version of QML live coding support. In addition, 2.1.0 adds bigger fonts to the UI, improves the use of camera and fixes a number of errors, many of which were reported by our developer community. Maybe I'll get around to updating my Jolla phone and tablet at some point, but I really don't see a reason why. Since I reviewed Sailfish OS and the Jolla phone more than three years ago, nothing has been done to address the elephant in the room. The operating system itself was quite stable, good-looking and full-featured from the beginning, and that has only improved with the constant stream of updates and refinements. However, the application situation is still incredibly dire, and we're all still using the same few applications - updated only very infrequently - that we were using three years ago. Several have even died out. Instead of investing in attracting developers to write Sailfish applications (the three year old promises of support for paid applications still hasn't been fulfilled, for instance), the company got distracted with crazy projects like the tablet, and investing heavily in making Android applications 'run' on Sailfish. While Android applications do 'run', it's still a slow, frustrating, and utterly jarring experience that's a complete and utter waste of resources. Had they spent even half the effort spent on Android application compatibility on attracting native developers, the platform would be in a far better state. Jolla proclaimed they wanted to take over the world, but in doing so, lost touch with the very people they should've continued to focus on: open source/Linux-oriented enthusiasts, former Maemo/N900 users. Not a large group of people, of course, but definitely a big enough - and, more importantly, loyal enough! - group of people to sustain a small, community-focused company. Jolla's CEO Sami PienimÃ¤ki penned a letter to the community about upcoming developments for the company. There's some stuff in there about Russia and tablet refunds. To find the cause of the Galaxy Note7 incidents, Samsung examined every aspect of the Galaxy Note7, including hardware, software and related processes over the past several months. Samsung's investigation, as well as the investigations completed by three independent industry organizations, concluded that the batteries were the cause of the Galaxy Note7 incidents. The causative factors are further explained in the infographic below. The presentation last night was quite informative, and both Samsung and the three independent organisation got time to explain their findings in quite some detail. Sadly, they removed the VOD of the livestream from YouTube, so there's no way to rewatch it (edit: someone uploaded the VOD), but some of the slides can be found at the bottom of the linked article. As some of you may undoubtedly know, I'm a bit of a sucker for Palm OS. These past few years, I've been busy collecting ROMs for the Palm OS emulator and simulator, making sure I have all the major Palm OS releases covered. There's really not much of a reason to do this - I have working devices which are a much better option than the emulators/simulators in most cases - other than to have a complete collection I can keep around forever. 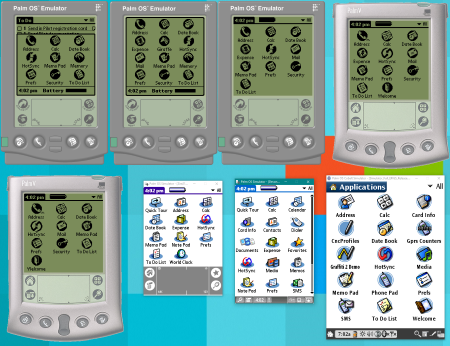 From top left to bottom right, you're looking at Palm OS 1.0, 2.0, 3.0, 3.5, 4.0, 5.3 (a Palm Zire ROM), 5.4.9 (the last released version of Palm OS available on real devices), and Palm OS 6.1.0 Cobalt (the last version of Palm OS; no 6.x device has ever been released). This is a pretty complete collection, and while it doesn't contain every released version of Palm OS, it covers the most important ones, and provides a great overview of the development of the operating system. One important version is actually missing from this screenshot: Palm OS 5.5, whose official name is actually Garnet OS 5.5. Garnet OS 5.5 was developed by ACCESS (current owner of Palm OS and the associated IP), but was never released on or for devices - its sole function was to serve as the operating system running inside the Garnet VM. Garnet VM was a virtual machine developed to allow Palm OS applications to run on the ACCESS Linux Platform, a Linux-based mobile operating system that never gained any traction; no ALP devices were ever released. As some of you may remember, Garnet VM was also released for Nokia's Maemo. I have a Nokia N900 (maybe even two) that can run Garnet VM, and while it's no longer available from ACCESS itself, it's easy to find all around the web if you know where to look. I'm not sure if my N900 is properly set up (I think it is), but it would be trivial for me to install Garnet VM on it and play with it. So, between my Palm/CLIÃ‰ devices and all these emulators/simulators, every major Palm OS version seems covered, right? Well, no - not entirely. There's quite a few exotic devices, such as the AlphaSmart Dana, the TapWave Zodiac, or the Fossil Palm OS smartwatch, but those are disproportionately hard to come by. Setting those aside, I thought I had all my bases covered. Turns out - as is so often the case - I was wrong. On Twitter, q3hardcore asked "do you have this?" 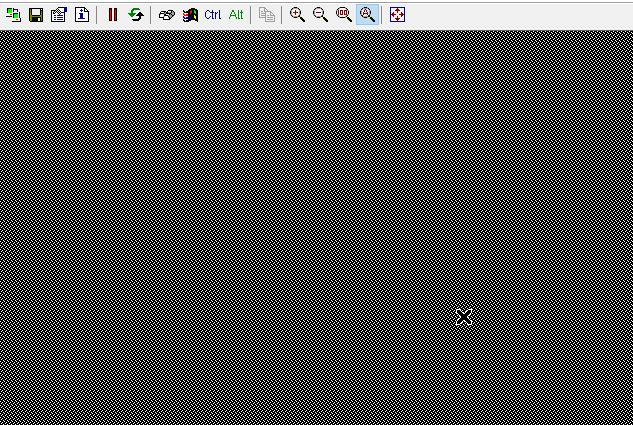 As it turns out, and entirely unbeknownst to me, ACCESS actually released the Garnet VM for Linux and Windows. After coming to the conclusion that this piece of software was entirely impossible to find online (try it), q3hardcore came to the rescue once again, and uploaded his or her copy of the package online. Questionable legality aside, I didn't have to think twice. The purpose of the Garnet VM for Linux and Windows was to allow Palm OS application developers to test their Palm OS applications to see if they would run on the Garnet VM included in the ACCESS Linux Platform, and make changes if needed. This Garnet VM is an amazing piece of technology. It's the Palm OS userland - version 5.5.0 - running on a Linux kernel running on an ARM emulator running on Windows or Linux. The ARM emulator in question is called Janeiro, and it emulates a Zylonite (PXA320) development board, revision B1. As it boots up, there's zero indication that it's running a Linux kernel - the X 'cross' appears briefly (at least, it looks like the X cross), but that's it. The major difference between the Garnet VM and the Palm OS 5.x and 6.x simulators is that while the simulators run x86 Palm OS, Garnet VM runs an ARM Palm OS userland atop an ARM Linux kernel. This means - at least, in theory - that ARM Palm OS applications should run decently well on Garnet VM, something you can't do with the Palm OS simulator, because they would need to be recompiled to x86. I say 'in theory', because the Garnet VM documentation notes that not all Palm OS libraries and components are present, and that only "well-behaved" applications are compatible. I've only had access to the Garnet VM for Windows for a short while, and I haven't yet had the time to really dive into it. For instance, I've yet to figure out how to get applications to run inside the VM, since the usual methods don't seem to want to cooperate. I'll spend some more of my free time on playing with it over the coming weeks to better figure out how it all works. In any event, the Garnet VM for Windows and Linux is a unique piece of computing history, and I am absolutely delighted to be able to add it to my collection of Palm OS memorabilia. I've briefly considered zipping up all the emulators, simulators, and ROMs I have into a nice preconfigured, documented package for people to play with, but that's not something I can do for obvious copyright, trademark, and patent reasons. Most of this stuff isn't particularly hard to find, but it does require a bit of Palm experience to put it all together and document it. I don't think I'll ever get permission from ACCESS, so that's the end of that idea. Still, I think it's important that I continue to collect these Palm OS ROMs and emulators/simulators, because as the years go by, more and more Palm devices will start to break down or get lost, leaving us without to ability to experience this amazingly lovable operating system. "Adventuresome" is perhaps a kind way of describing Pebble's year: 2016 started in crisis. The year before, the once-profitable company dropped into the red, and hit the second half 2015 by not meeting its sales goals. Pebble would never be profitable again. In March of 2016, Migicovsky laid off a quarter of his staff of 160, just as the company moved from its cramped, loft-like Palo Alto headquarters into a gleaming, spacious new office tower in downtown Redwood City. In its optimism, the company had rented two floors; now it fit on just one. It turned out that both Pebbleâ€Š-â€Šand, incidentally, Apple - had misjudged the wearables market. The idea of an iPhone on the wrist hasn't caught on. The one killer app for wrist devices, at least so far, seems to be fitness. Active people find it useful to wear something that quantifies your biometrics and tracks your runs. Apple's emphasis on fashion and Pebble's on productivity and third-party innovation were costly detours - the smartwatch market is rooted in health and fitness. "We learned late, and Apple is learning this as well," says Migicovsky. (He acknowledges that notifications are perhaps the other key function smartwatches perform.) "We did not get this in 2014â€Š-â€Šif we had come out then as the smartwatch fitness wearable, maybe it would be a bit different." It seems my doubts about the viability of the smartwatch market are turning out to be on point. Just as I predicted - turns out people really don't want to strap an ugly calculator on their wrists, not even when it has a shiny Apple logo. Consumer safety remains our highest priority and we've had overwhelming participation in the U.S. Note7 Refund and Exchange Program so far, with more than 93 percent of all recalled Galaxy Note7 devices returned. One the one hand, it's great these potentially dangerous devices can be rendered inoperable. On the other hand, it's a deeply unsettling - especially in the current US political climate - feeling that devices can just be shut off at a moment's notice. Basically: not having a headphone jack might not be enough to deter sales of a phone, but it's still really annoying and requires users to spend additional money to reclaim very basic functionality from their devices. And most of that money flows back to the device vendor, effectively increasing the price of the phone. We've taken something simple and universal, and turned it into something complex and proprietary, for no obvious benefits. It's a bad trade-off. It's... user-hostile and stupid. There's just no getting around it. There's no tangible benefit to ditching the universal 3.5mm jack - whether Apple does it, or Samsung does it, or anyone else does it. We're months and months into this discussion now, and to this day, nobody - not Apple, not Samsung, not John Gruber, not any commenters anywhere - has given me a real, valid, tangible reason why removing the 3.5mm jack is a good idea. Lightning audio is stupid because only the iPhone/iPad support it (not even Macs come with Lightning ports), and wireless audio is garbage - something even Apple is only now finding out. Those wireless AirPods Apple unveiled to much fanfare? They have been delayed and delayed, and are actually still unavailable, because Bluetooh audio is complete and utter garbage. It almost feels like removing the 3.5mm jack was a sociological science experiment to determine just how far people were willing to go to defend and rationalise a deeply dumb idea. What's interesting is that there is evidence in the design of an intellectual tension between safety and pushing the boundaries. Samsung engineers designed out all of the margin in the thickness of the battery, which is the direction where you get the most capacity gain for each unit of volume. But, the battery also sits within a CNC-machined pocket - a costly choice likely made to protect it from being poked by other internal components. Looking at the design, Samsung engineers were clearly trying to balance the risk of a super-aggressive manufacturing process to maximize capacity, while attempting to protect it internally. Fascinating look - with photos - at the (possible) cause of the Galaxy Note 7 fires. Last month we did a quick exercise aiming to see how far we could get in a few weeks in porting Sailfish OS to a new kind of mobile device, an Android smartwatch. Compared to the competition, Sailfish OS’s interaction paradigm is particularly suited for small screens, it being gesture-driven and designed to maximize display estate available for the user content. We also had the watch demo with us as a teaser in Slush 2016 this week, to emphasize to journalists, partners and other people how versatile platform Sailfish OS is. And naturally an implementation like this, could fit nicely also into our licensing strategy. This looks pretty good, actually, but as an owner of the limited edition version of the Jolla Phone and the incredibly elusive and rare Jolla Tablet - what I want is not more device categories, it's applications. This has been the platform's number one weakness since its inception, and they seem unwilling to do anything about it. Late yesterday it was reported by The Information that Fitbit is close to buying wearable startup Pebble, news that has since been independently confirmed by The Verge. Fitbit and Pebble have been in the final stages of the deal since before the Thanksgiving holiday; the buying price has not yet been confirmed. While it ultimately might not be as good of a deal as Pebble would have hoped for, there are a lot of reasons why a Pebble-Fitbit deal makes sense. Pebble is popular among OSNews readers, so those of you with a Pebble might want to keep an eye out for the future of this possible deal. Jolla Ltd., the Finnish mobile company and developer of open mobile operating system Sailfish OS today announced that Sailfish OS has been officially accepted as the only mobile OS in Russia to be used in governmental and government controlled corporations' upcoming mobile device projects. Jolla has also started discussions in China and South Africa about building local mobile OS ecosystems for the countries. Good news for the company of course, but can someone from Russia shed some light on just how impactful this is? If you take the announcement at face value, it'd mean that starting from today, every new phone issued to a government employee in Russia will run Sailfish, but for some reason, that just seems implausible. What does it really mean?